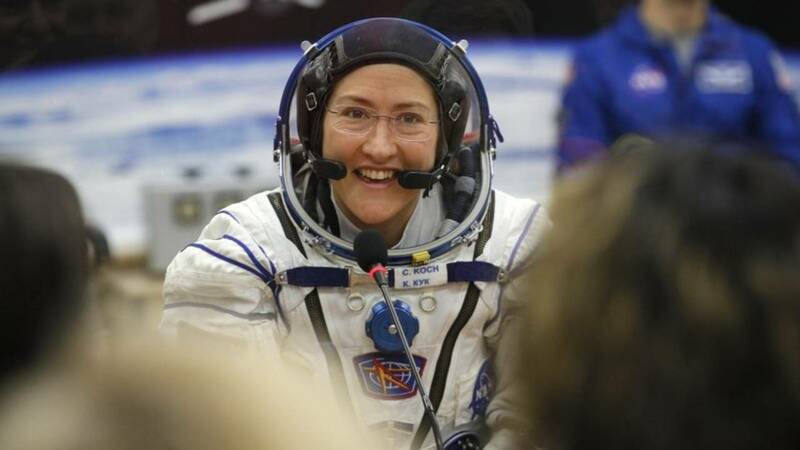 CAPE CANAVERAL, Fla. - A NASA astronaut and Michigan native will spend nearly a year at the International Space Station, setting a record for women. Station astronaut Christina Koch (Cook) will remain on board for about 11 months, until February. That approaches but doesn’t quite break Scott Kelly’s 340-day U.S. record. She knew before launching last month that her flight might stretch into 2020. She says it’s awesome. Koch is from the Grand Rapids area.